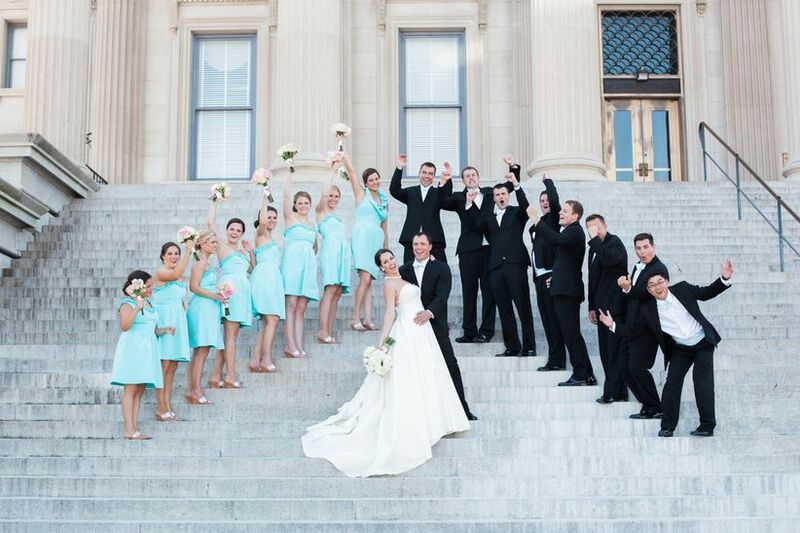 Get creative with your wedding party pics by checking out some of our favorite groomsmen and bridesmaid photos. This year there have been quite a few unique poses that are definitely a must try! 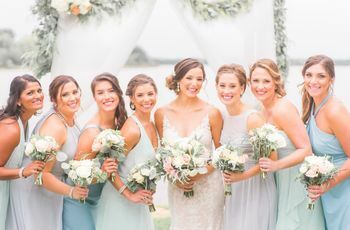 From playing tug of war with the newlyweds to incorporating some pretty cool props, these wedding party pics are totally steal-worthy! 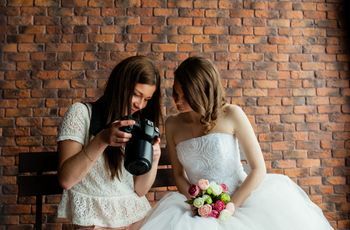 Get your wedding party in the background as you and your S.O. share a quick kiss. You'll love all of their expressions too! 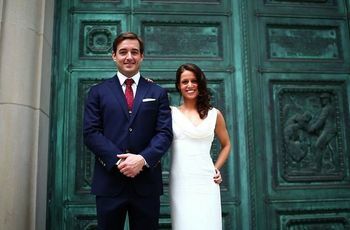 Arrange your wedding party in a V shape while you and your S.O. stand in the middle. Bonus points if you get your 'maids and 'men to 'raise the roof'! 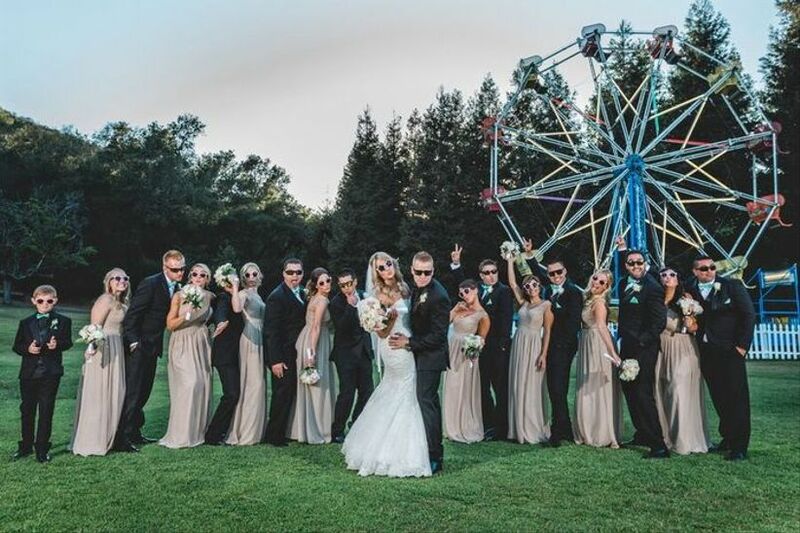 Have your wedding party don a pair of stunner shades for a cool and slick party pose. You can even wear a pair, too! 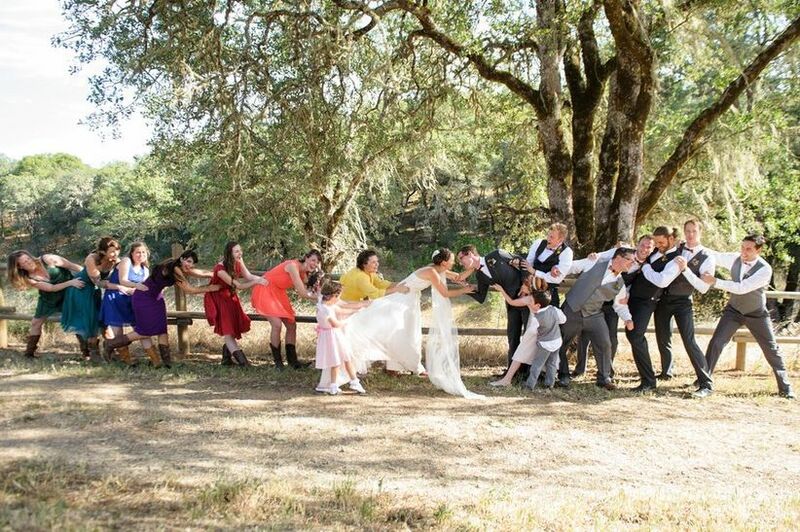 This idea is perfect for bride and grooms-to-be looking for a fun and playful wedding party photo! This idea is too cute! 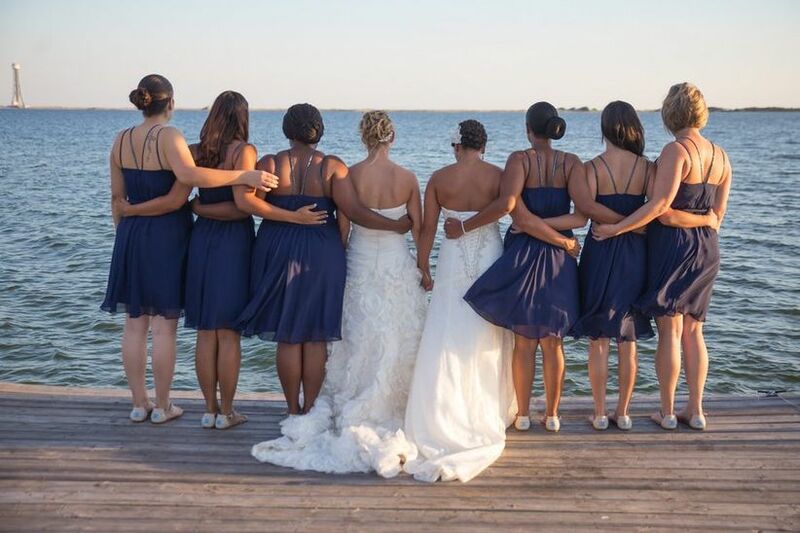 Have your wedding party recreate this photo by making them literally overlook your first look. You and your S.O. 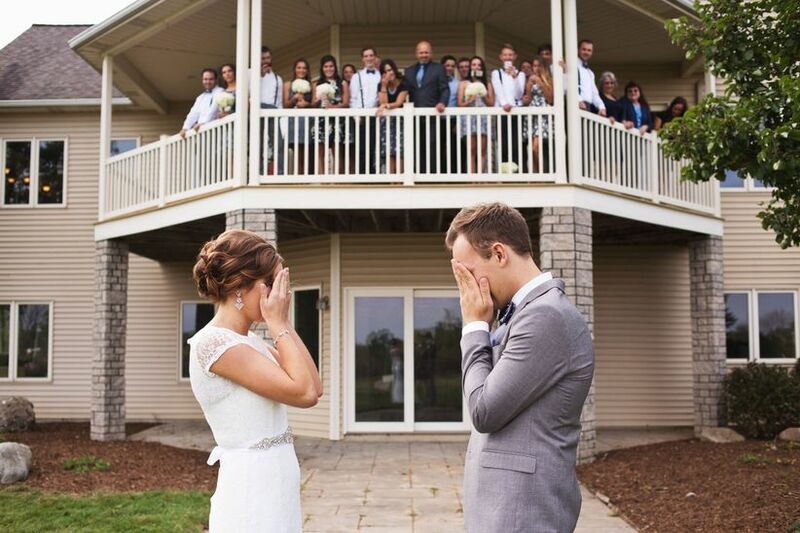 still get the intimacy of seeing each other for the first time as your wedding party 'awes' in the back! 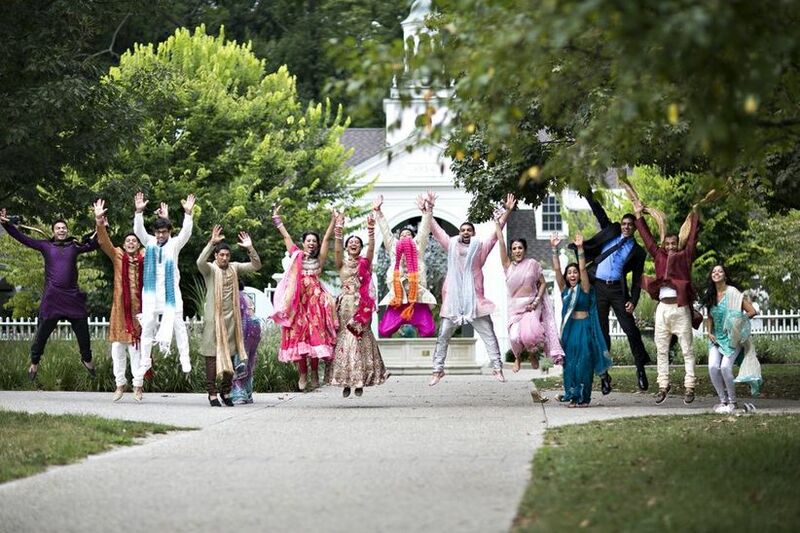 Get your wedding party to literally jump for joy with this photo idea. Trying to get everyone in the air at the same time will definitely get some laughs, too! Line up holding hands with you and your S.O. in the middle going in for a kiss. 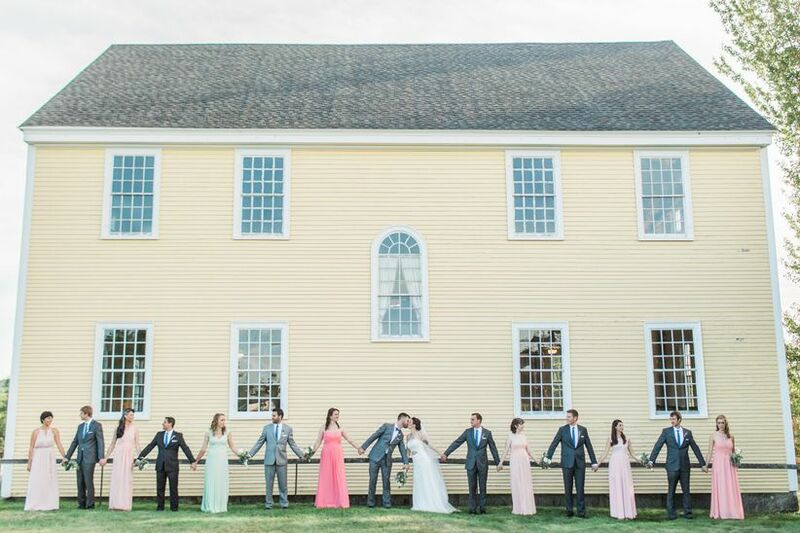 Whether you decide to line up outside of your venue or in an open space, this photo is sure be a hit. 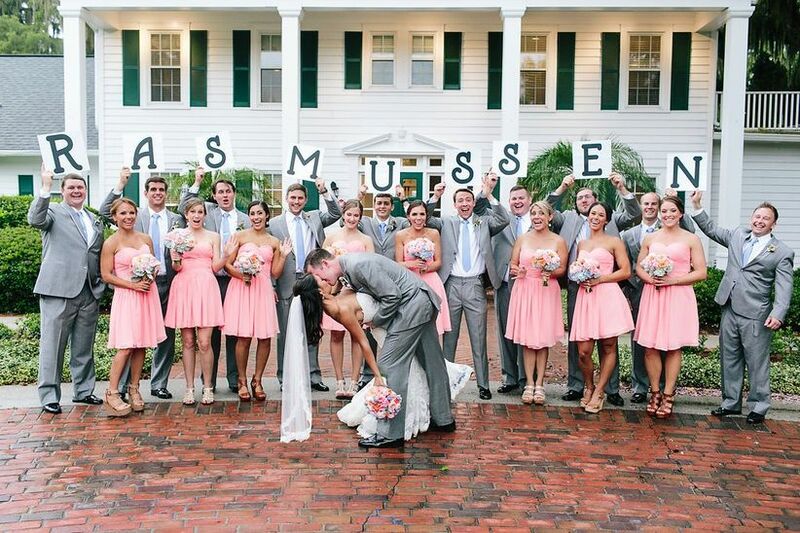 Have a celebratory wedding party pic with this super fun idea! All you need are cut-out signs spelling out your last name. Then have your wedding party hold up each sign as you stand in front. 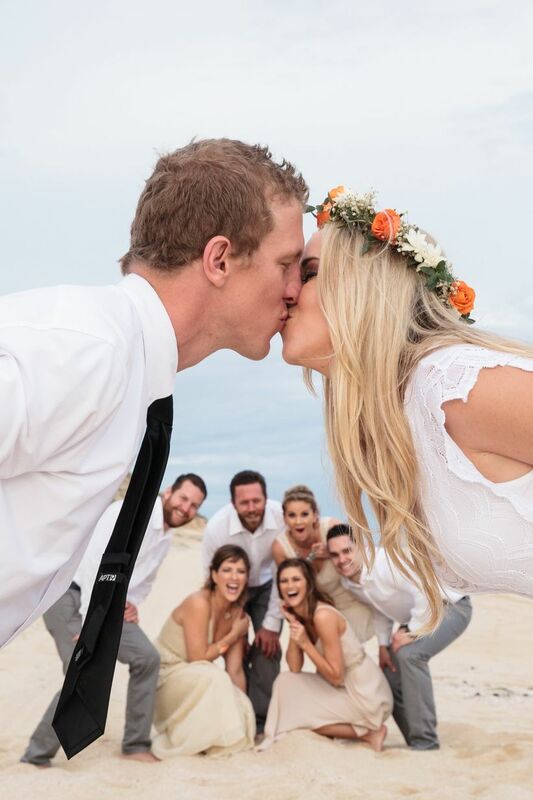 We suggest doing a dip kiss for a wow-worthy photo! Have your leading men and ladies turn around and link arms with you and your S.O. for a photo-worthy image. 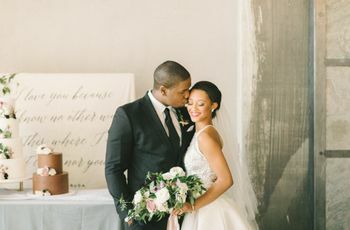 We love how simple this wedding photo idea is and its perfect in front of your venue's backdrop, too. 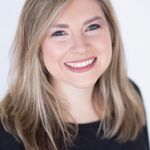 Whether it be a mountainside, ranch or oceanfront, this photo idea is a must! 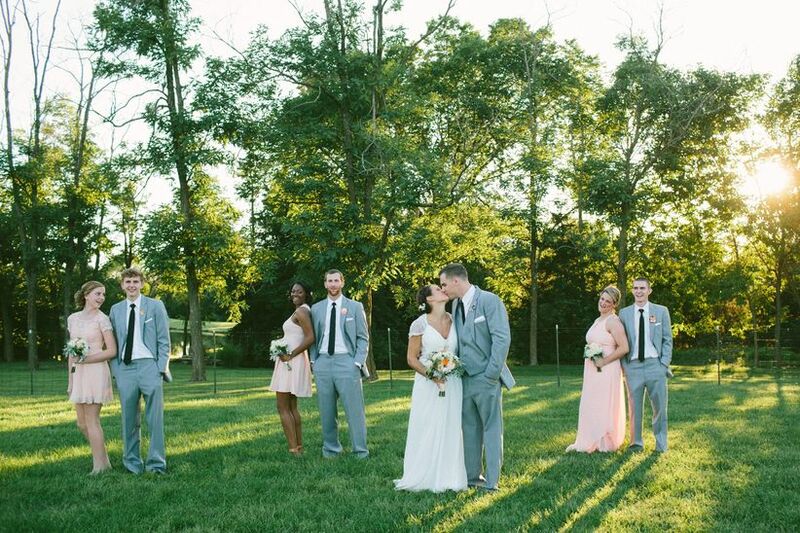 This idea is perfect if you have the same number of bridesmaids as you do for groomsmen. If you don't, not to worry! Just have a group of three instead of two.